Jalandhar: National Law School of India University (NLSIU Bengaluru) and the School of Law at Lovely Professional University have collaborated to organize 3-Day national conference on ‘Cyber Law & IT Protection’ at LPU campus. 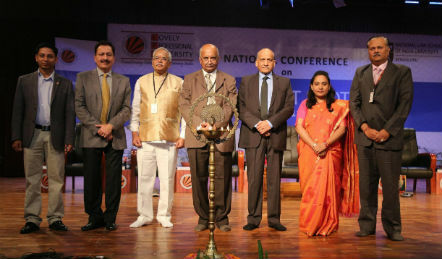 NLSIU Vice- Chancellor Prof. Dr. R Venkata Rao inaugurated the conference at Shanti Devi Mittal Auditorium of the university by forwarding instructive message to the vast gathering of law students, faculty and authorities. In this society needed conference, 100+ delegates from 30+ Law Institutes of 8 states of India and SAARAC countries are participating, where selected 128 research papers will be discussed and reflected upon. Legal & Technical experts including Inspector General of Police, Cyber Crimes (Punjab) Naunihal Singh (IPS); Professor and Director Research & Development Council Prof. Dr. T V Subba Rao; addressed the conference during inaugural session. Talking about artificial intelligence, Internet of things and Internet Revolution, NLSIU Vice- Chancellor Prof. Dr. R Venkata Rao alerted all that technology is developing so fast that in the near future merely “Contact Lenses” will be developed so enough to gather all specific details from the targeted cyber-crime victim. He holds: “In comparison to emotionless robots and machines, a human being has passion for what he does and compassion for whom he does. I advise all the simplest possible eradication of all cyber-crimes is to follow your brain, heart and soul in unison not to do any ill to other. Remember, machines can be good servants, but being soul-less these are always bad masters.” Dr Rao also expressed his great happiness on having collaboration of LPU and NLSIU. I G Punjab Police (Cyber Crimes) Naunihal Singh (IPS) shared that the usual methods of curbing crimes cannot be used against cyber criminals as technology keeps changing too fast for law enforcement agencies to be effective. He shared: “World Wide Web has made the world much closer and so are the cyber-criminals who keep on devising novel methods to dupe the innocent and ignorant internet users. I advise students to educate people around them about safest possible usage of the internet services or cloud processes. In fact, cyber-crime is a breach of trust.” He also shared that Punjab Police is already working on Cyber-Dome and is ever ready to help cyber-crime victims even on a simple call, SMS or whatsapp. Dr TV Subba Rao also shared that no one can be expert on cyber law as cyber-crimes change daily, every moment. There must be certain legislature amendments so that cyber criminals be stopped to violate constitutional rights of common people. 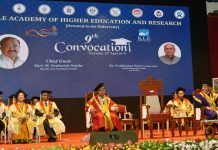 Dr. A. Nagarathna (NLSIU) held that such conferences are need of the day for both individuals and institutions. She advised all to collaborate with each other to find out better solutions against increasing cyber-crimes and abuses. LPU Director General Er HR Singla, Executive Dean Dr Sanjay Modi (Conference Director), Dean Dr. Shailesh N. Hadli, Prof. Central University(Bhatinda) Dr. Tarun Arora were also present on the occasion. During the next two days of the conference 128 research papers will be deliberated upon to have solid legal reasoning and recommendations for cyber-security.